Manual harvest and selection of the grapes; gentle whole cluster pressing and clarification of the must by natural sedimentation; slow fermentation at a controlled temperature in stainless steel tanks, aging on the lees in steel tanks for 5-7 months; blending one month before bottling. Color: brilliant pale yellow with green nuances. Smell: Green apple and white peach combine with fine nuances of lemon balm and mint to create the typical aroma of the classic Terlano. 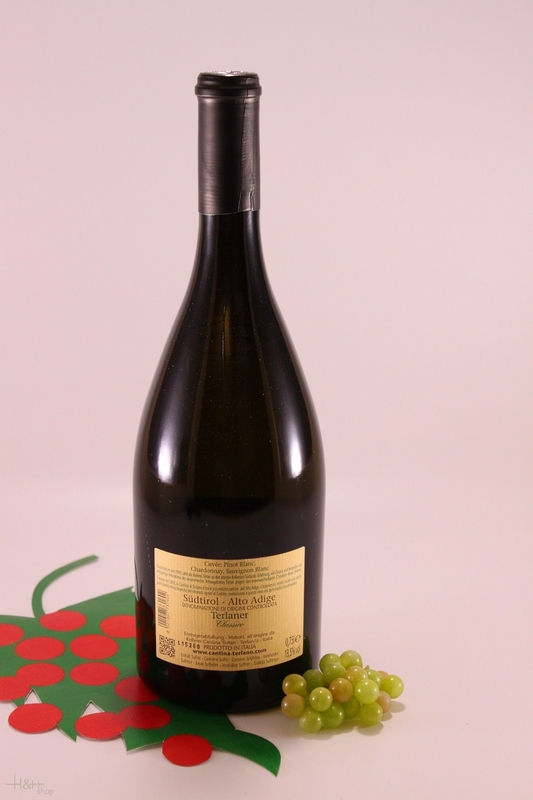 Taste: Peach is very strong on the palate, too, lending the Terlano its lively but at the same time very mellow character. The multifaceted, well structured flavor derives an interplay of freshness and minerality and also has a wonderfully persistent finish. Simple pairings: A traditional regional choice with Terlano wine soup, raw white asparagus salad, typical dishes like pizza and pasta with tomato sauce or foccaccia with rosemary or penne all'arrabbiata; parmesan and fresh pecorino; also with South Tyrolean dishes like bacon dumplings or sausage with sauerkraut, and with turkey breast with root vegetables or a fine veal roast. "Wine Spectator" has rated the wine "Cantina Terlano-Kellerei Terlan Classico Alto Adige Terlaner, Trentino-Alto Adige, Italy" the vintage 2015 on 28.02.2017 with 89 of 100 points. "Wine & Spirits Magazine" has rated the wine "Cantina Terlano-Kellerei Terlan Classico Alto Adige Terlaner, Trentino-Alto Adige, Italy" the vintage 2015 on 01.10.2016 with 90 of 100 points. "Falstaff Magazin" has rated the wine "Cantina Terlano-Kellerei Terlan Classico Alto Adige Terlaner, Trentino-Alto Adige, Italy" the vintage 2015 on 06.07.2016 with 90 of 100 points. "Vinous Antonio Galloni" has rated the wine "Cantina Terlano-Kellerei Terlan Classico Alto Adige Terlaner, Trentino-Alto Adige, Italy" the vintage 2015 on 01.05.2016 with 91 of 100 points. "Wine Spectator" has rated the wine "Cantina Terlano-Kellerei Terlan Classico Alto Adige Terlaner, Trentino-Alto Adige, Italy" the vintage 2014 on 31.12.2015 with 89 of 100 points. "Vinous Antonio Galloni" has rated the wine "Cantina Terlano-Kellerei Terlan Classico Alto Adige Terlaner, Trentino-Alto Adige, Italy" the vintage 2014 on 01.05.2015 with 89 of 100 points. "Wine Spectator" has rated the wine "Cantina Terlano-Kellerei Terlan Classico Alto Adige Terlaner, Trentino-Alto Adige, Italy" the vintage 2012 on 31.05.2014 with 88 of 100 points. "Wine Enthusiast" has rated the wine "Cantina Terlano-Kellerei Terlan Classico Alto Adige Terlaner, Trentino-Alto Adige, Italy" the vintage 2013 on 06.01.2014 with 88 of 100 points. "Vinous Antonio Galloni" has rated the wine "Cantina Terlano-Kellerei Terlan Classico Alto Adige Terlaner, Trentino-Alto Adige, Italy" the vintage 2011 on 01.05.2013 with 90 of 100 points. "Wine Enthusiast" has rated the wine "Cantina Terlano-Kellerei Terlan Classico Alto Adige Terlaner, Trentino-Alto Adige, Italy" the vintage 2011 on 06.01.2013 with 88 of 100 points. "Wine Spectator" has rated the wine "Cantina Terlano-Kellerei Terlan Classico Alto Adige Terlaner, Trentino-Alto Adige, Italy" the vintage 2010 on 31.08.2011 with 89 of 100 points. "Wine Spectator" has rated the wine "Cantina Terlano-Kellerei Terlan Classico Alto Adige Terlaner, Trentino-Alto Adige, Italy" the vintage 2009 on 31.05.2011 with 87 of 100 points. "Vinous Antonio Galloni" has rated the wine "Cantina Terlano-Kellerei Terlan Classico Alto Adige Terlaner, Trentino-Alto Adige, Italy" the vintage 2010 on 01.02.2011 with 88 of 100 points. "Vinous Antonio Galloni" has rated the wine "Cantina Terlano-Kellerei Terlan Classico Alto Adige Terlaner, Trentino-Alto Adige, Italy" the vintage 2009 on 01.08.2010 with 88 of 100 points. "Wine Spectator" has rated the wine "Cantina Terlano-Kellerei Terlan Classico Alto Adige Terlaner, Trentino-Alto Adige, Italy" the vintage 2008 on 31.08.2009 with 90 of 100 points. "Vinous Antonio Galloni" has rated the wine "Cantina Terlano-Kellerei Terlan Classico Alto Adige Terlaner, Trentino-Alto Adige, Italy" the vintage 2008 on 01.08.2009 with 88 of 100 points. "Wine Spectator" has rated the wine "Cantina Terlano-Kellerei Terlan Classico Alto Adige Terlaner, Trentino-Alto Adige, Italy" the vintage 2007 on 31.08.2008 with 88 of 100 points. "Vinous Antonio Galloni" has rated the wine "Cantina Terlano-Kellerei Terlan Classico Alto Adige Terlaner, Trentino-Alto Adige, Italy" the vintage 2007 on 01.08.2008 with 88 of 100 points. "Vinous Antonio Galloni" has rated the wine "Cantina Terlano-Kellerei Terlan Classico Alto Adige Terlaner, Trentino-Alto Adige, Italy" the vintage 2006 on 01.08.2008 with 88 of 100 points. "Wine Spectator" has rated the wine "Cantina Terlano-Kellerei Terlan Classico Alto Adige Terlaner, Trentino-Alto Adige, Italy" the vintage 2006 on 15.11.2007 with 88 of 100 points. 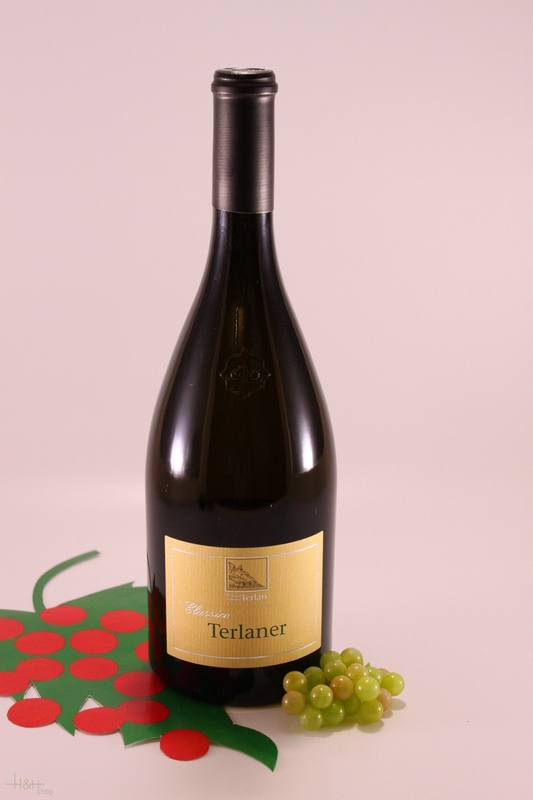 "Wine Enthusiast" has rated the wine "Cantina Terlano-Kellerei Terlan Classico Alto Adige Terlaner, Trentino-Alto Adige, Italy" the vintage 2006 on 12.01.2007 with 87 of 100 points. "Wine Spectator" has rated the wine "Cantina Terlano-Kellerei Terlan Classico Alto Adige Terlaner, Trentino-Alto Adige, Italy" the vintage 2005 on 30.11.2006 with 88 of 100 points. "Wine Spectator" has rated the wine "Cantina Terlano-Kellerei Terlan Classico Alto Adige Terlaner, Trentino-Alto Adige, Italy" the vintage 2003 on 31.03.2005 with 90 of 100 points. "Wine Enthusiast" has rated the wine "Cantina Terlano-Kellerei Terlan Classico Alto Adige Terlaner, Trentino-Alto Adige, Italy" the vintage 2002 on 07.01.2003 with 88 of 100 points. Balm Vinegar Balsamico Monari Federzoni Silver label 500 ml. Our global best seller - a delicate balance of sweet and sour. A stylish bottle and elegant label that nicely evoke the qualities of this PGI balsamic vinegar of Modena, with its perfect balance between sweet and sour and its full, decisive flavour that enhances all kinds of dishes. Selected fruit alcohol and the juice of well ripened mountain plums are used for this noble plum liqueur. Thanks to a very carefully studied recipe, that developed a long experimented blending method, this liqueur has a particular aroma and flavour. Bacon of the butcher's shop Hell - Welsberg. Packs in discs cut, fragrantly, spicy and comfortably. Ideally for wanderings and excursions. Merlot Merus - 2017 - Wine Cellar Tiefenbrunner 15,15 EUR / 20,20 €/lt. Pinot Noir - 2016 - Winery Muri-Gries South Tyrol 13,80 EUR / 18,40 €/lt. Gewürztraminer Castel Turmhof - 2016 - vine cel. Tiefenbrunner 26,35 EUR / 35,13 €/lt. Pinot Grigio Punggl - 2017 - vine cel. Nals-Margreid 20,15 EUR / 26,87 €/lt. Cabernet Sauvignon Lafoa - 2015 - cantina Colterenzio 54,25 EUR / 72,33 €/lt.